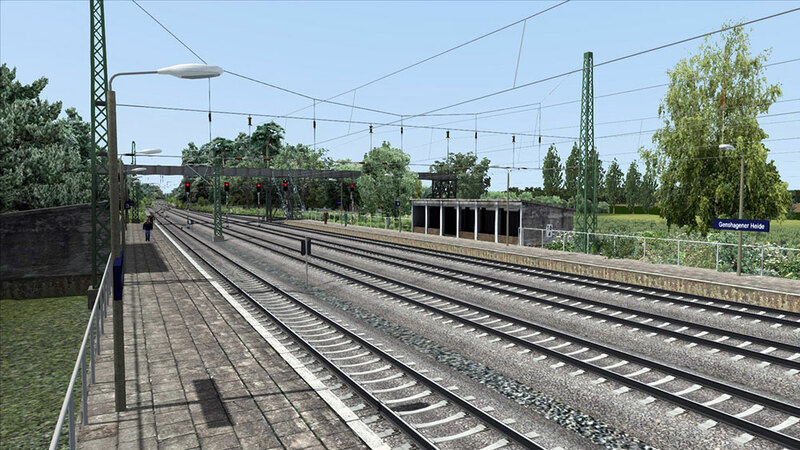 Product information "Mighty Seddin Freight"
This route is an extension for the Berlin-Leipzig Route add-On. 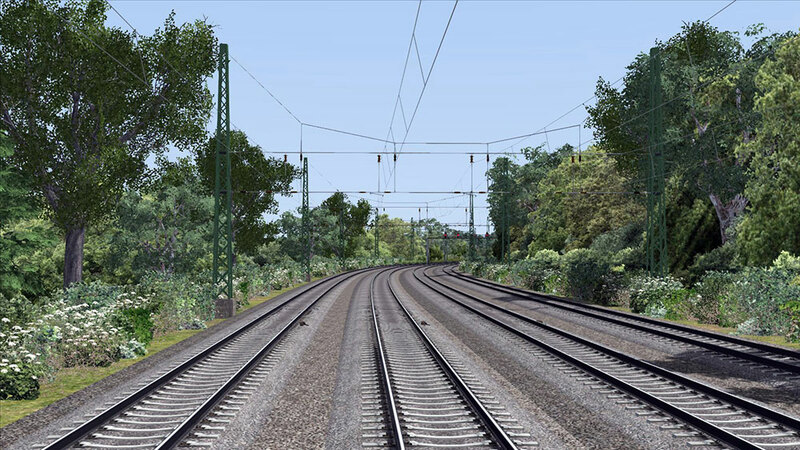 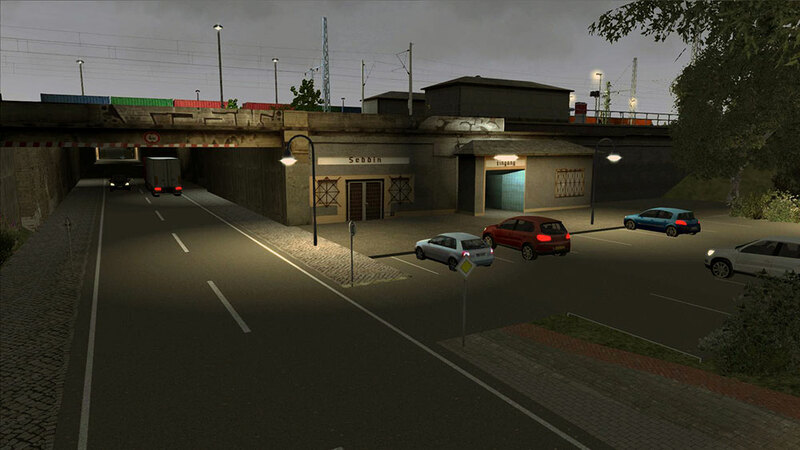 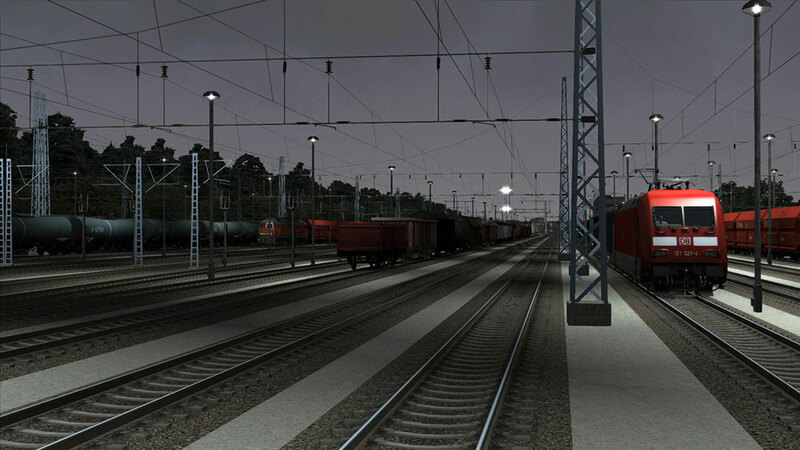 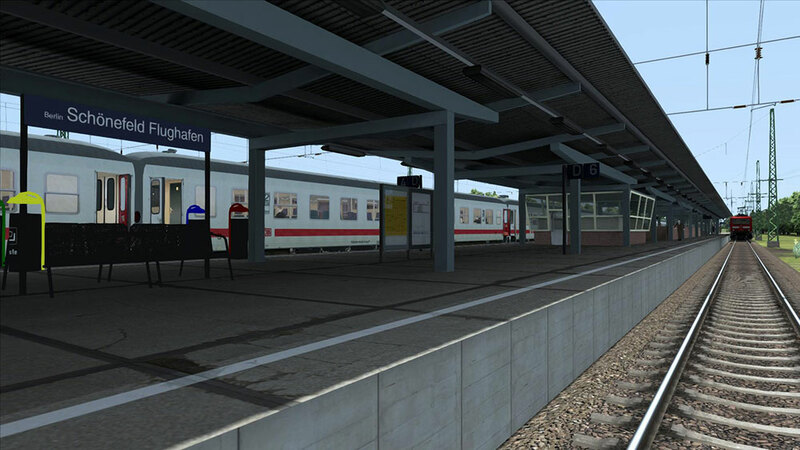 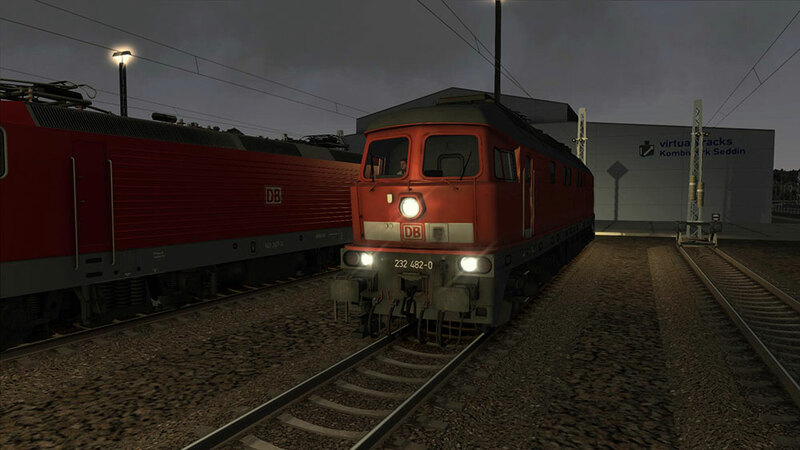 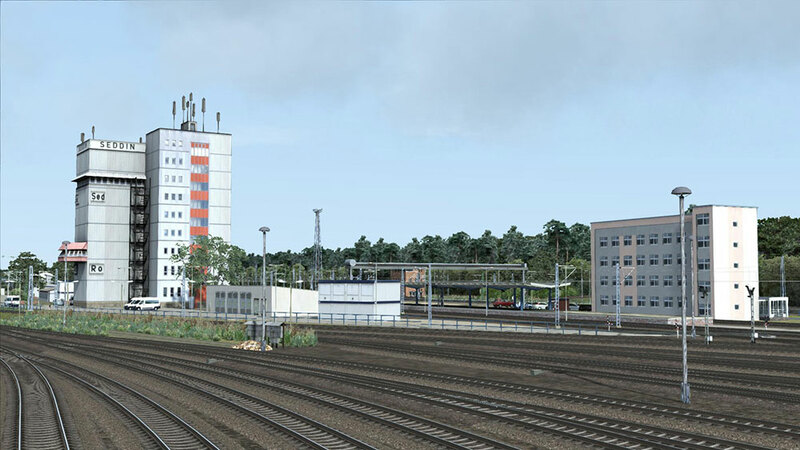 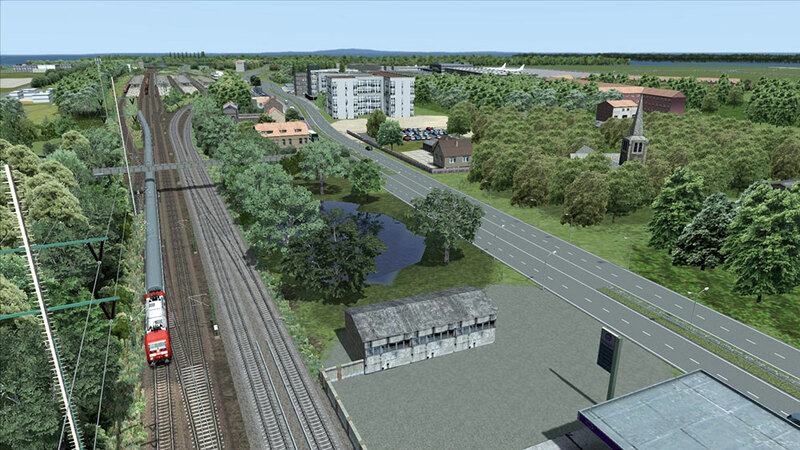 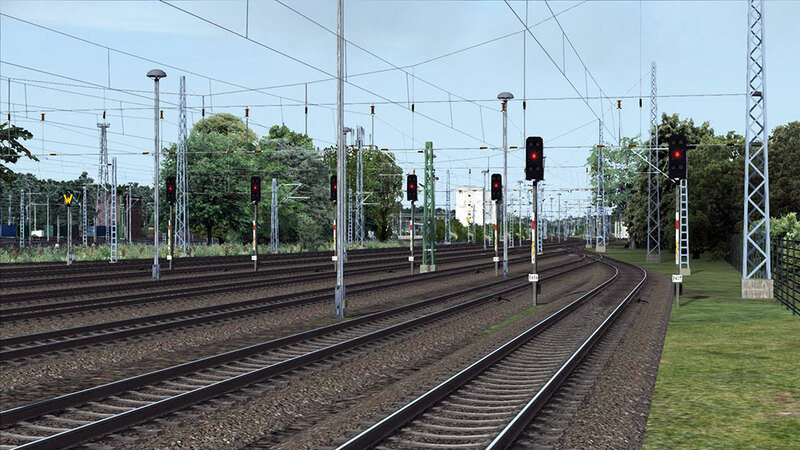 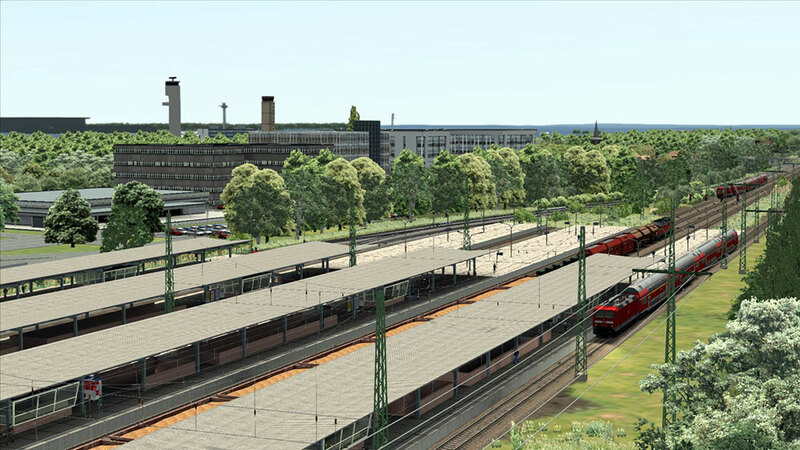 It includes the route from Genshagener Heide to the old Airport Berlin-Schönefeld station, an additional starting point for freight and passenger trains (different from the Airport Berlin-Brandenburg-International station). 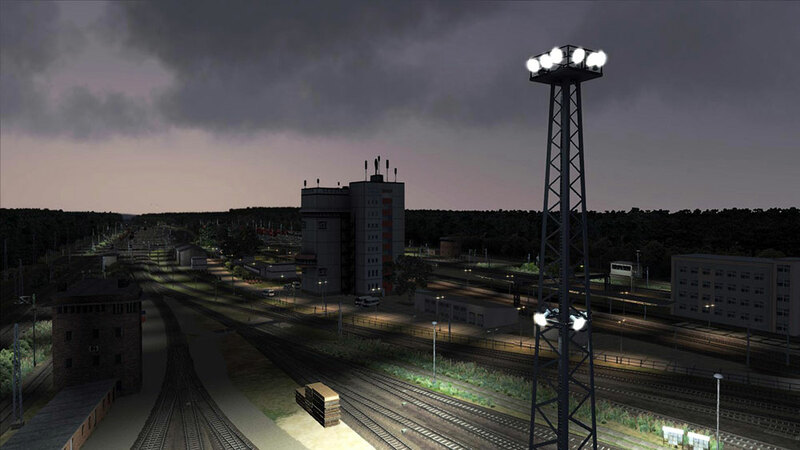 The area of airport Berlin-Schönefeld and the new Berlin Brandenburg International Airport is outlined with large buildings, spinning radar aerials, lighted taxiways and runway and approaching and departing airplanes. 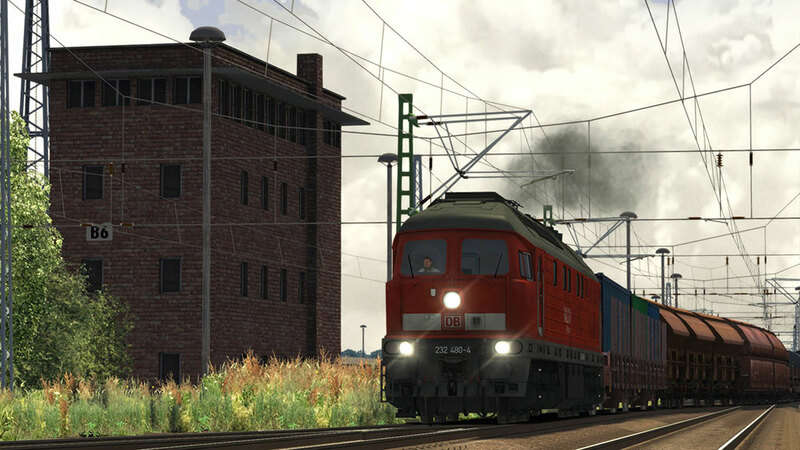 This package also includes the iconic Pro Range standard DB BR 232 in DB VRot and Railion liveries. 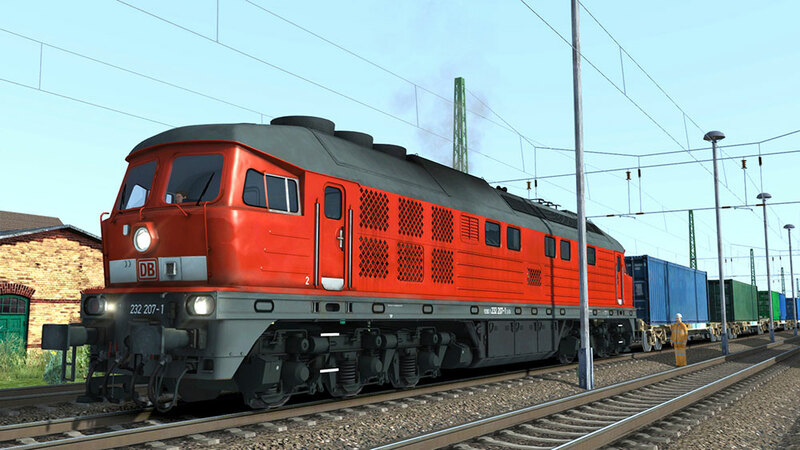 The 3000PS strong locomotives are equipped with SiFa86 (Zeit-Zeit Aufforderungssifa) , PZB80R system PZB90, prototypical driving behavior, monitoring functions for the traction motor and the power, overload protection, distance alterable headlights, automatic and manual cooler fan control, switchable and coupled electric brake, switchable electrical train heating, switchable cab lights. 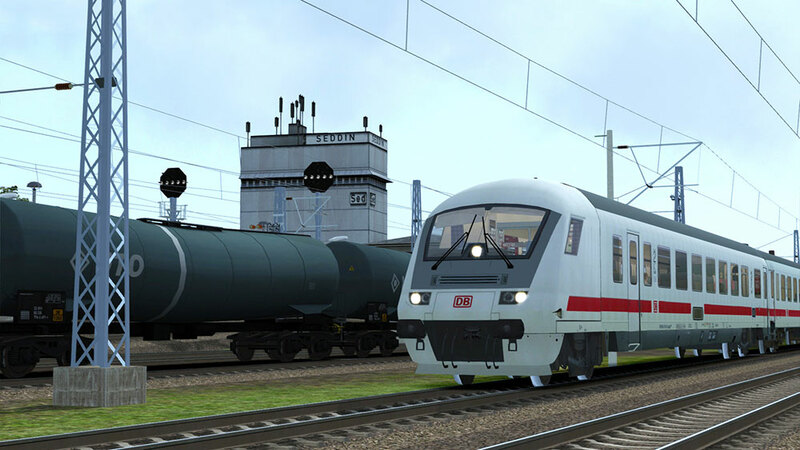 The original sounds of the wheels, the diesel-electric generator, the roaring cooler fans, the rumbling air compressors, the humming traction motors, sizzling train brakes and humming dynamic brakes gives the driver a feeling of a really heavy hauling engine. 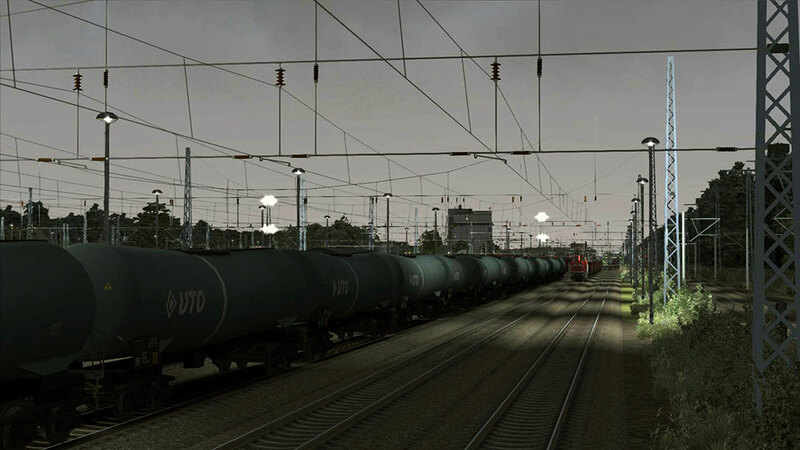 The route includes six challenging career scenarios and it’s available in the Quick Drive menu. 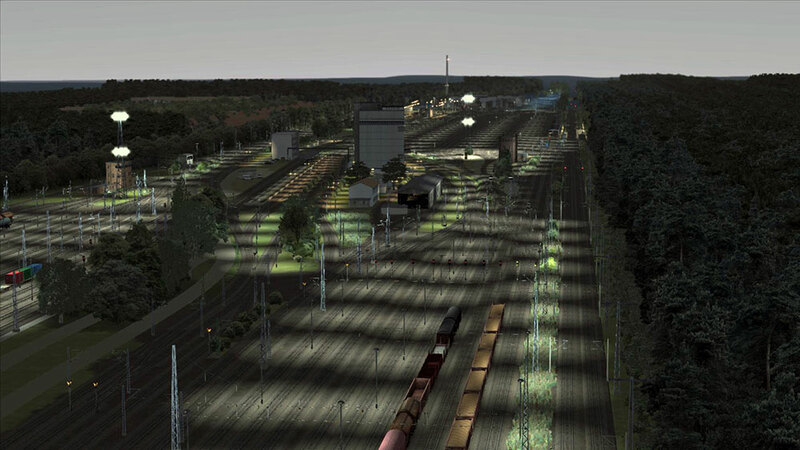 Includes the route from Genshagener Heide to the old Airport Berlin-Schönefeld station, an additional starting point for freight and passenger trains (different from the Airport Berlin-Brandenburg-International station). 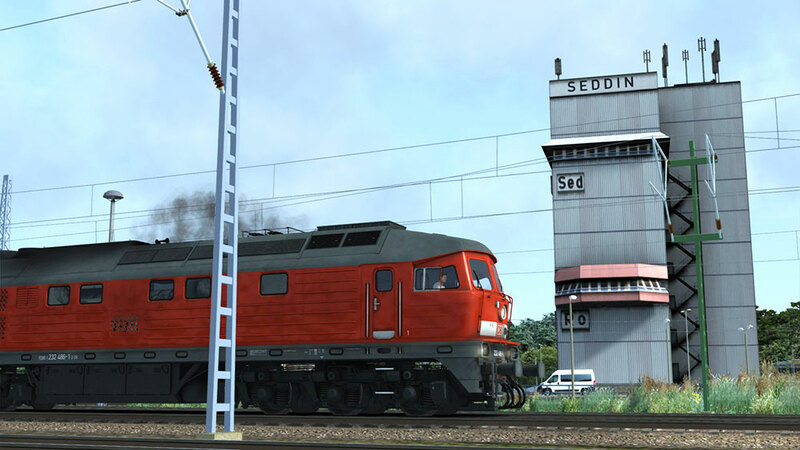 Related links to "Mighty Seddin Freight"